Winter has definitely arrived here in the UK; we’re all feeling the chill in the air and saying goodbye to the sun. If you’re dreaming about making a spontaneous getaway from the dreary weather, we’ve got you covered. Here are our tips on booking a winter holiday at the last minute, whilst also saving a little bit of cash. Depending on your holiday needs, websites like lastminute.com could save you a few quid on an unplanned holiday. 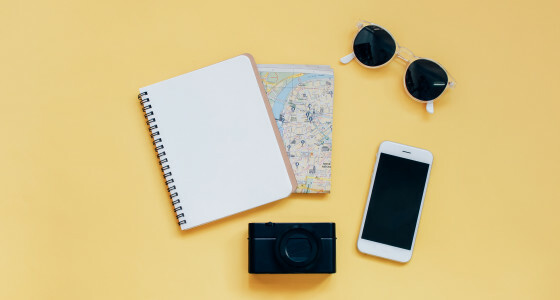 Whilst it’s generally more cost-effective to book well in advance, especially if you’re looking for a family holiday, last minute options can be cheaper if you’re able to be flexible in your travel plans. Many travel websites have last minute options, like On The Beach and TravelSupermarket, catering for holidays to sunny locations around the world. Or take a city break to Europe for even less if you want to make the most of winter events like the Venice Carnival or Christmas markets. Another way to save money on your last minute holiday is to travel with a twist. Some sites offer a ‘secret hotel’ option. Details like the name of the hotel are hidden from you until after you book but by picking a secret hotel, you could save up to 40% off the same hotel booked regularly. Secret hotels are great for anyone looking to inject a bit of adventure and spontaneity into your travel plans, without compromising on quality. Secret Escapes does flash sales for holidays which means they can offer super competitive rates compared to other agents. You can sign up for alerts and get a heads up on the following week’s holidays, so you can pick one that sounds ideal. Other flash sale agents include Voyage Prive, offering a variety of luxury holidays for less, including ski-ing trips, chic city boutiques, and beach holidays for those of us in need of some sun! There are some good options available if you want to buy your whole holiday in one go, but sometimes it’s worth booking your accommodation and transport separately for the best deals. Popular websites like Airbnb and Couchsurfing allow you to find somewhere to stay that’s usually a lot cheaper than a standard hotel - and a bit more comfy too! These sites offer the chance to stay in the homes of locals wherever you’re travelling. Couchsurfing is entirely free, in fact! It’s a bit more suited to solo travellers whilst you can book entire homes through Airbnb, making it a good option for the whole family. Staying with locals can really help your trip feel more authentic, and you can get some insider tips on what to see and do in the local area. Budget airlines are a no-brainer when it comes to booking a holiday for less, but did you know that sites can offer some of the cheapest rates going - as long as you’re quick! For instance, Jack’s Flight Club will send you deals on flights, based on discounts, hidden deals, and fare errors. Google Flights is also a great way to find the cheapest options around, and it’s super easy to use. You can put in all the details of what you want from your holiday and Google will find the cheapest options around, from both airlines and agents. There is also an ‘Explore’ feature if you haven’t got any specific destination in mind; just shop around for whatever fits your budget! Of course, not everyone wants to escape the winter - in fact, some people actively embrace it! Whether you’re looking for a ski-ing holiday or a snowy retreat, your cool winter break could be more affordable than you think. We wrote a whole blog piece on putting together a ski-ing holiday on a budget so check that out for more ideas and tips, covering accommodation to equipment. Where would you go on your winter getaway? Let us know in the comments below! The season to sort your pension? Set up a PensionBee account and get your pension saving sorted. We combine all your old pensions into one new online plan.